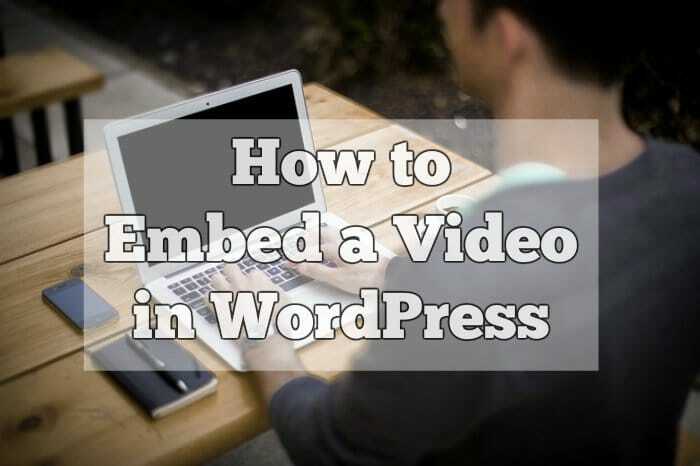 In this blogging tutorial, Kate from Bluehost will explain how to embed a video on your WordPress site from YouTube. First, go to a video hosting website such as YouTube and find the video that you want to put on your site. Then, click Share, choose the embed code and copy it. Now, go back to your WordPress site and go to the page or post that you want to put the video on. In this video, Kate will put this video on her website’s homepage. Right now you’re most likely on the visual editor. Go to the text editor as shown in the video above and paste that code you copied earlier wherever you want the video to appear. Then click update. Now, view your page to see how the video looks. Alright, there it is WordPress actually sizes it for your site so you shouldn’t have to do anything with that. And that’s how you would embed a video on your WordPress site.